TigerOnSite is part of JobTiger Business Group – the biggest Bulgarian company providing web-based HR solutions. TigerOnSite offer and develop new opportunities on Bulgarian labour market. 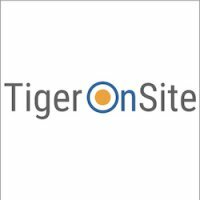 TigerOnSite is a company specialized in providing solutions for temporary employment, staff leasing, outsourcing, out-staffing. Managing employees can be a costly and time-consuming job. More importantly, if you operate a business without an experienced HR professional on staff, you could put the company at risk. TigerOnSite could offer you staff leasing services, outsourcing, out-staffing and release you from administrative and legal burdens. We do take care on hiring and termination formalities, submit payroll records and file taxes and social security payments. We track changes in labour law, in social security and tax legislation and adapt our procedures accordingly. In addition to taking on legal risks and responsibilities, employee leasing services can help you save money and streamline your human resources operations - whether you have overworked HR staff or no HR at all. In turn, you can spend more time focusing on managing your business. We know how to help you in providing needed personnel for managing special projects, temporary volume increase, extended employee leaves.